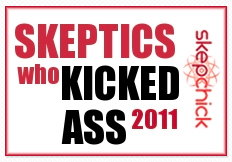 » What more do the MMR/anti-vaccers want? New allegations against Dr Andrew Wakefield made by the UK Times newspaper have recently emerged, further throwing into disrepute his controversial 1998 Lancet publication. The entire retraction is reproduced below, please click on the image to see it in high resolution. I want to emphasise this was published in 2004. Almost FIVE years ago. Yet the anti-vaccers, including the likes of the toxic Jeni Barnett still insist there is a link between MMR and autism. Just to make sure I didn’t get it wrong, here is the important part, enlarged. So why is this debate still on-going? If the authors have admitted they may have got the interpretation of their own data wrong, why is it the anti-vacc crowd think they know better? 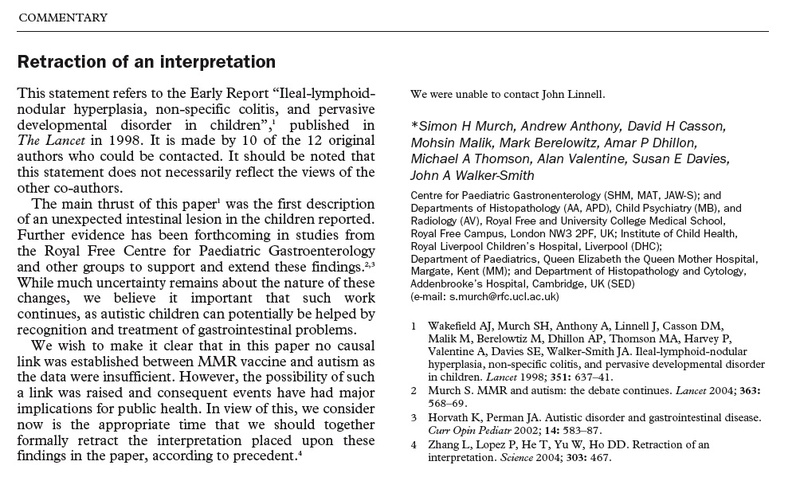 And when will they realise the Wakefield paper was never a definitive finding on MMR and autism? Especially when you look at the conflict of interest issues also clouding this publication which constitutes part of the reason why Wakefield is currently being investigated for serious professional misconduct. The more bizzare the premise, the more entrenched the belief. 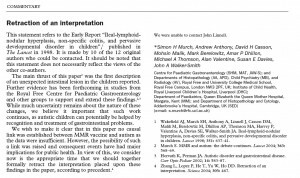 You can read the entire 1998 Lancet paper, for free reproduced here on Brian Deer’s blog. « Allegations emerge that Andrew Wakefield “faked” the data in his Lancet paper. What more do the MMR/anti-vaccers want?